Cozy tropical retreat tucked away in a private & serene quarter of Barrigada. Warm wood-laminated floors in zen with the tall and deep kitchen cabinets and granite countertops charms this home. A family room provides extra space and serves so well as the music room or a study. Beautifully landscaped garden front and back. Back garden easily accessed from dining area. A shaded lanai is the bbq spot for this home. 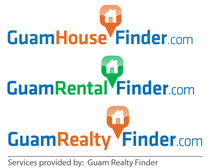 Located so very conveniently close to many institutions of learning and downtown Hagatna, Tamuning and Tumon. Gracefully swaying bamboo stands across the street sings in the breeze.